We brought lightly used items to the church and opened the doors to people of the community. They could come and take home anything they needed. While the day was a huge success as far as the amount of goods people were able to pick up, it was even better for this reason: Six people trusted Jesus Christ as Savior at the event. Indeed, these six new believers took part in the greatest “Free 4 All” of all time—the offer of salvation through Jesus Christ. The items that were taken to the church on this special day had already been purchased. They were then given without cost to all who simply asked for them. Likewise, eternal forgiveness for our sins has already been purchased. Jesus paid that price when He died on a cross on Golgotha’s hill 2,000 years ago (Rom. 3:23-25). He now offers salvation at no cost to all who simply repent and believe that Jesus has the power to forgive and save (Acts 16:31). Each of us is needy spiritually—and only Jesus can meet that need. Have you accepted what He offers without cost at the world’s biggest “Free 4 All”? My Savior, my Redeemer, and my Friend. —Anon. I got an email from Catherine Anne Clark, Founder and CEO of A Celebration of Women Foundation Inc. where she mentioned a book called Power Manners. 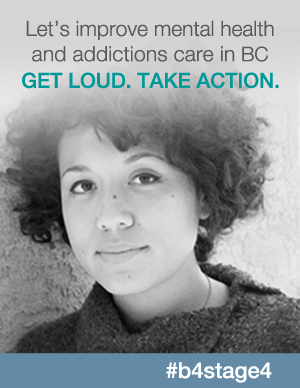 It is written by Shannon Smith, a Woman of Action. Shannon Smith is a leading image strategist and founder of Première Image International, the foremost provider of personal brand training. Since 1983, Shannon and her team of consultants have taken companies and individuals from unnoticed to unforgettable, bringing about transformations that lead straight to success. Read more about Shannon here. Shannon was a guest on A Celebration of Women TV on July 28th. This guest spot will be featured on the site’s homepage soon. Keep checking! Make Success a Natural Part of Your Life. Far from a collection of rules and regulations, Power Manners is a very practical easy-to-read guide with answers to so many ofthe business and social questions that people really ask. This book explores contemporary manners and universally accepted rules ofbehavior,helping you through business and social situations throughout the world. From table manners to body talk, Power Manners will take the stress out of behaving yourself. Find out how well mannered you are when you check out our chapter quizzes. Enjoy the adventure of POWER MANNERS. Shannon Smith has generously offered to donate $10.00 per book sale to Celebration House. A Celebration of Women Foundation Inc. is in the midst of opening very their first flagship Celebration House, a home for young women who will be nurtured while they receive a Western Education which will enable them to grow into future LEADERS. 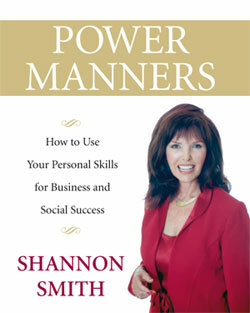 When you purchase the book, Power Manners you will be supporting A Celebration of Women Foundation Inc. Your support will assist the Foundation in building this home for young women from around the world, enabling them to enjoy a Canadian University education, while living at Celebration House. Those who pass through Celebration House will be Future Leaders that go back into their communities and Take Action. A $10 donation will be made to Celebration House with each purchase. Buy your copy today at http://www.acelebrationof women.org. It’s also available at www.powermanners.com. With your purchase you will be not only be transforming your life but the lives of young women who will have the opportunity to change their communities–and perhaps, their world. One morning our three year old son was singing, “My God will do anything for you and me and everybody.” This made me think of Hannah and what God did for her. Imagine wanting to be mother so badly that you can almost taste it? You are faced with the grim reality that you may never be able to have children. You are married to a man who has another wife. This other wife rubs that fact that she has children and you don’t in your face every single day. It doesn’t help to know that your husband loves you dearly. The pain of not being able to conceive is all that you feel and it gets so unbearable that you have to do something. Such was the situation for Hannah. She was miserable. Her rival provoked her to the point where she broke down and cried and couldn’t eat. This went on year after year. Then, one day, Hannah went to the temple where she prayed to God, weeping bitterly. She was in such anguish. She prayed for a son and promised God that she would dedicate the boy to serve him all the days of his life in return. Hannah poured her heart out to the Lord, knowing that He would hear her. I wonder as she was praying if she thought of Sarah who had been barren but was blessed with Isaac when she was way past the childbearing years or Rebekah who was barren until Isaac prayed for her and God blessed her with twins. What inspired me about Hannah is that she didn’t give up. She didn’t see her situation as hopeless. She went to God in faith and with hope burning in her heart and petitioned Him. She trusted in the fact that with God all things were possible. She approached Him, confident that if what she asked for was according to his will, he would hear her. God was her only hope. He who had the power to close her womb could open it. When Hannah finished praying, she told Eli, the priest that she was pouring her soul out to the Lord and had been praying out of pent up anguish. Eli wished her the best and she left there a new person. She felt lighthearted, as if a great burden had been lifted and she found her appetite. 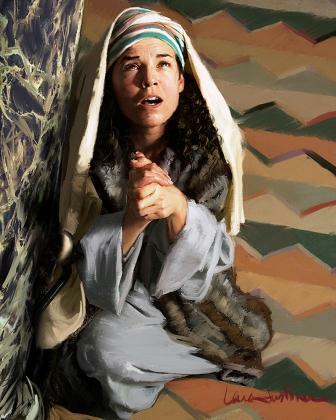 God answered this woman’s prayer and blessed her with a son whom she named Samuel “Because I have asked for him from the LORD.” Hannah kept her promise to God. After she weaned Samuel, she took him to the temple where she left him in the care of Eli, the priest. She said to him, “O my lord! As your soul lives, my lord, I am the woman who stood by you here, praying to the LORD. For this child I prayed, and the LORD has granted me my petition which I asked of Him. Therefore I also have lent him to the LORD; as long as he lives he shall be lent to the LORD.” So they worshiped the LORD there” (1 Samuel 1, NKJV). Hannah praised God for what He had done for her. She declared, “My heart rejoices in the Lord! The Lord has made me strong. Now I have an answer for my enemies; I rejoice because you rescued me” (1 Samuel 2:1, NLT). Hannah didn’t pray for other children. She had simply asked for a son and in return she was willing to dedicate him to the Lord. Well, Eli blessed her and her husband with these words, “The LORD give you descendants from this woman for the loan that was given to the LORD.” And sure enough, the Lord did. He blessed them with three sons and two daughters. So, Hannah went from being a barren woman to a mother of six. Hannah’s prayer was answered because it was God’s will to bless her with the son she asked for. Samuel became a great prophet for the Lord. Thank you, Hannah for reminding us that there is always hope and that we must never give up. From my home in Colorado, I recently used Google Maps to “wander around” the neighborhood in Nairobi, Kenya, where my family lived 2 decades ago. A satellite image on my computer screen enabled me to identify roads, landmarks, and buildings. In some cases, I got a street-level view, as if I were standing on the ground there. Keep your eyes on God; He never takes His eyes off you. It’s comforting to know that we have a Heavenly Father who watches over us. This makes me think of the song, His Eye Is on the Sparrow. The lyrics are beautiful and very encouraging. I read the following devotional and I encourage other parents to read to read it as well. There are some points here we can relate to and advice we would do well to follow. My husband and I are cautious when it comes to our kids. We diligently try to find the balance between having appropriate boundaries without being outright control freaks. Friends, media, and social events have become powerful means of helping our kids learn discernment and character. I noted, however, that my prayers for our 6th grader increased when she went away on a school trip for 3 days, for she was beyond my reach. It made me realize that I often think I have things under control simply because my kids are within my sight. The histories of both Judah and Israel prove that a nation that doesn’t teach the next generation the truth becomes a nation enslaved. Likewise, the training of our children isn’t something to be left for a day when we have more time or feel more capable. Without godly direction (which comes through the investment of our time and energy), our children become sheep without a shepherd (Zechariah 10:2). • Follow Jesus and encourage our children to do the same (1 Cor. 11:1). • Give our children room to learn from their mistakes as God disciplines them (Hebrews 12:7-11). • Realize God will deal individually with our children (Ezekiel 18:20, 30). Parenting can be downright scary some days. But even when our kids are beyond our view, they’re never beyond God’s reach. I never knew that such a condition as Psoriasis existed until I came to Canada. Two of my co-workers have it. What is it? It is a condition which can be mild to severe, and is marked by scaly, silvery plaques of raised, reddish skin that tend to occur on the elbows, knees, lower back, and scalp. It is not contagious and it’s not just a skin disease. Psoriasis is a chronic skin condition. What causes Psoriasis? The exact cause is unknown, however, researchers believe that psoriasis has hereditary and environmental components and is mediated by the immune system. Another website explains how the Immune System and the environment cause this condition. These T-cells “attack” the skin and set off a cascade of events that make the skin cells multiply so fast they start to stack up on the surface of the skin. Normal skin cells form, mature, then are sloughed off every 30 days. But in plaque psoriasis the skin goes through this whole process in 3-6 days. Infections caused by bacteria or viruses can cause a psoriasis flare. Streptococcal infections that cause tonsillitis, or strep throat, tooth abscesses, cellulitis, and impetigocan cause a flare of guttate psoriasis in children. The human immunodeficiency virus (HIV) does not increase the frequency of psoriasis, but it does increase the severity of the disease. ACE inhibitors — used to treat high blood pressure. Examples include monopril, captopril, and lisinopril. Beta blockers – also used to treat high blood pressure. Examples include lopressor and atenolol. The classic symptoms of psoriasis are thick, raised red patches of skin covered with a dry, silvery white build-up of scales. The patches can appear anywhere on the body. While a doctor can diagnose psoriasis, it is typically done by a dermatologist – a physician who specializes in diagnosing and treating conditions that affect the skin. If you suspect that you might have psoriasis, see a dermatologist. Women with psoriasis are at a higher risk of developing diabetes, and high blood pressure. Women with psoriasis have concerns about becoming pregnant. They worry that they might pass the condition to their unborn children. They wonder if they will be able to breastfeed or if their psoriasis treatments are safe for their babies or if their psoriasis will get worse during pregnancy. Treatment for pregnant women with psoriasis can be problematic, especialy if their condition is severe. They need to stop most systemic medication as it may lead to congenital abnormalities. It is very important that women tell their dermatologist early on if they are planning to become pregnant. This will help the dermatologist to better assess if their psoriasis treatment can be continued during pregnancy and to prescribe a new medication if necessary. Women who suffer from psoriatic arthritis sometimes feel greater pain because of pregnancy-related weight gain. Most studies involving pregnant women show that pregnancy affects psoriasis. It is advised that women who have suffered from psoriasis during pregnancy and/or after childbirth, should not hesitate to breastfeed. Only women who have to use a systemic treatment or local treatment on extensive areas of the skin should avoid breastfeeding as these treatments can be absorbed into the breast milk and may be transmitted to the child. Interaction at work or school has been identified as being highly affected by skin disease, e.g. severe psoriasis can make it impossible for patients to work. Psoriasis can be mistaken to be contagious and mistaken by others for a different disease or condition. These misconceptions contribute to the exclusion of psoriasis patients from public facilities, such as public pools and health clubs. 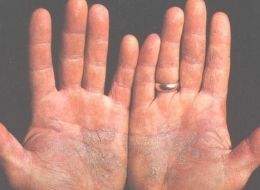 Patients with psoriasis, particularly females, have difficulty in starting sexual relationships. A high alcohol intake and smoking are risk factors for development of psoriasis; in addition, the stress of having psoriasis can lead to relief drinking/smoking and neglected treatment. comprises a number of serious negative feelings observed in psoriasis patients: anticipation of rejection, feelings of being flawed, sensitivity to attitude of others, guilt and shame, negative attitudes and secretiveness. Approximately 10% of psoriasis patients have had suicidal thoughts, underlining the relationship between mind and skin, compared to 3% among general medical patients. Psoriasis can also impair the quality of life of families. Treatment time, reluctance to leave home or avoidance of public places such as swimming pools, beaches and sporting facilities may all interfere with family leisure time. Treatment for severe psoriasis may be seen as hazardous and the cost of treatment can be a further burden on the patient’s family. What can you do to cope with your psoriasis? Maintain a healthy lifestyle. By doing this you are more likely to successfully cope with your psoriasis and a healthy lifestyle improves the immune system which is beneficial for your psoriasis. The right clothing. Tight clothing can irritate the skin and make psoriatic symptoms worse. Choose soft, natural fibres such as cotton for your clothes, including underwear. Prevention. Even though triggers of psoriasis flare ups can vary for each person, there are triggers you can try to avoid such as getting stressed and excessive drinking or smoking. For those of you who suffer from psoriasis, don’t give up hope. Seek support from others who are going the same challenges as you. Here is a resource that I hope you will take the time to check out. 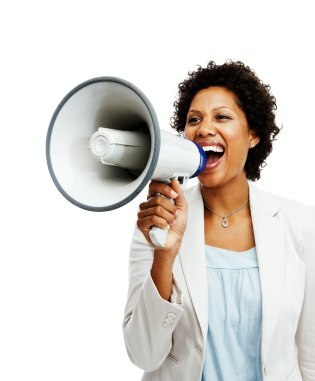 http://www.inspire.com/groups/talk-psoriasis/discussion/encouraging-words/ It will encourage you and help you. It’ s place where you can connect with people who share your health concerns. I read this story today and wanted to share it. It is a testimony of how powerful faith and the power of prayer are. I am a Global Mission pioneer. I was selling books door-to-door in a city in Armenia. I knocked on one door in an apartment house, and a woman answered. I introduced myself and my work. She welcomed me in and listened as I told her about the books. She looked up with tears in her eyes and said, “Just before you came to my door, I was praying that God would send someone to help me know more about God and the Bible. I believe God sent you.” The woman, Alvart, said that her 11-year-old daughter had been attending a Protestant church and often told her things she was learning about God. Although Alvart wasn’t attending the church, her daughter’s comments created a hunger to know more. Then she told how one day three months earlier she had put her 2-year-old son to sleep in his stroller near the bedroom window and went about her housework. Her daughter, Anna, was playing outside in the apartment courtyard. The baby awoke and climbed from the stroller onto the windowsill and fell out the window from their ninth-floor apartment. A passerby saw the child falling and screamed. Anna looked up to see her baby brother falling toward her. “Dear Jesus, help me!” she prayed, and instinctively she held out her arms. The baby fell into her arms, and both children tumbled to the ground. Amazingly neither child was hurt. She couldn’t afford to buy the books she wanted, so I gave her a small book and offered to study the Bible with her. She gladly accepted. She didn’t have a Bible, so I gave her one. She is ready for baptism. When I first went to this town we had not even one Adventist there. Now we have a group of 10 people who are meeting in a home every Sabbath and studying the Bible. Another 20 or so are interested to know more but haven’t committed themselves to Bible studies yet. They’re from all walks of life—lawyers, doctors, taxi drivers, and homemakers. I had met them by working as a literature evangelist. I praise God that our Sabbath School mission offerings help support the work of Global Mission, one way to tell the world that Jesus loves them. Artur Arakelyan is a Global Mission pioneer in Armenia.